When our editors decided to create this year’s BLACK ENTERPRISE Registry of Corporate Directors–our listing of black board members from the 250 largest companies on the S&P 500–one of our core objectives was to share with our audience why it’s vital for an African American to hold a seat on the board of a major publicly traded corporation. Typically, boards have nine to 12 members, two of whom are usually insiders: the CEO and CFO. 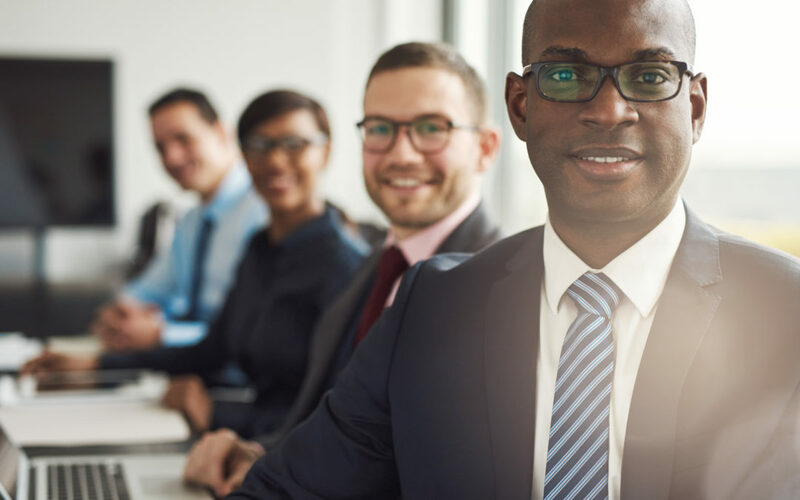 The other directors usually consist of senior managers from public companies, private investors, lawyers, retired business leaders, and heads of foundations and universities. Committees are usually divided among the following areas: Audit, which oversees corporate finances and is considered the most critical from the viewpoint of investors; governance and nominating, which reviews policies and procedures as well as recommends new directors; compensation, which determines the performance and compensation of senior management; and executive, which assumes responsibilities should the CEO be unable to perform his or her duties. The average compensation for a corporate director of an S&P 500 company is $242,000 per year with benefits and all expenses paid in full. 1. Corporate directors are charged with the fiduciary responsibility to increase shareholder value by making decisions–including acquisitions, divestitures and layoffs – that will maximize a given company’s earnings, dividends and stock prices. These decisions impact all stakeholders of that corporation such as employees, managers, suppliers and investors (including workers with 401Ks and similar defined contribution plans). 2. The board is effectively the boss’ boss. It is charged with oversight of the CEO and senior management, determining compensation and bonuses. The body can also remove the CEO for the company’s continued poor business and financial performance as well as acts of corporate malfeasance. In some cases, the board has taken such action due to the actions and agitation of shareholder groups like investment management firms and large pension funds. Recently, public officials such as New York City Comptroller Scott Stringer and Connecticut State Treasurer Denise Nappier, who are responsible for managing billions of public pension fund dollars, have pushed for more inclusive corporate boards and disclosure of diversity practices from select companies. 3. The board’s composition is a strong indicator of a company’s core values like diversity. In fact, a large percentage of boards continue to remain colorless: Our special report in the July/August issue reveals that roughly 30% of S&P 250 companies don’t have a single black board member. Among the worst offenders are Silicon Valley tech companies. If non-whites do not gain the opportunity to weigh in on the board nomination process then it is highly likely that the board will remain an all-white preserve. The diversity mandate comes from the top, and those corporations that lack such inclusion also impact critical areas: employment; recruitment; managerial search and promotion; across-the-board supplier spend; allocation of media dollars; and philanthropy. 4. Board positions serve as a CEO recruitment tool. When companies consider senior management, they often look at board services to gain a honcho who has the experience and judgment to deal with complex financial issues and corporate challenges. There are examples of prominent African Americans who have ascended to the CEO’s seat after serving on corporate boards. Richard D. Parsons was selected president of Time Warner, one of the world’s largest media conglomerates, in 1995 after having served on its board four years prior to that appointment. By late 2001, he would be named chief executive of the entire company. In a more recent example, former ELC head Arnold Donald became CEO of Carnival Corp., the largest cruise company on the planet, after two years of board service. 5. Board members can directly impact wealth building for employees and management. Several years ago, John Rogers, CEO of Ariel Investments (No. 3 on the BE ASSET MANAGERS List with $9 billion in assets under management) and founder of the Black Corporate Directors Conference, used his position on McDonald’s compensation committee, which also reviews employee benefits, to push for greater African American participation in its 401K plan. He told BE that as the company “looked at the data and realized this was an issue, they thought out solutions.” Due to Rogers input, 401K enrollment by African American managers went from the fiftieth percentile to 90%. 6. Vocal board members can make a huge difference not only within the corporation in which they serve but for the betterment of society as a whole. 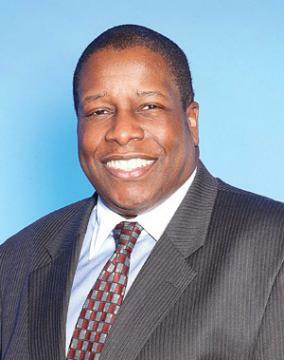 CBS Corp. and Northrop Grumman board member Bruce Gordon says African Americans who gain seats at the table have “an obligation to represent the community from which we come.” Such examples can be found in two pioneers among the first wave of black directors to fiercely advocated for equality and supplier diversity: The late Rev. Leon Sullivan, founder of Philadelphia-based Opportunities Industrialization Center and first black corporate director when he was appointed to General Motors’ board in 1971, and Clifton Wharton Jr., the first African American CEO of one of the largest 1,000 publicly traded companies and a corporate director for Ford Motor Co. Sullivan fought against inequality and apartheid, the policy of racial discrimination enforced by the white minority government in South Africa from 1948 to 1994. By 1977, he used his seat to develop the Sullivan Principles, a corporate code of conduct promoting equal opportunity and human rights that was formally adopted years later by more than 125 corporations, which shut down operations and divested holdings associated with South Africa. As for Wharton, he constantly inquired about Ford’s activities related to minority business development and, as a result, the auto manufacturer significantly increased its spend with minority suppliers. 7. You have a voice. Through our individual stock portfolios, IRAs and 401Ks as well as positions in which we may influence investment dollars, a large number of us are shareholders of these corporations. We should familiarize ourselves with their policies, diversity track records and board members of companies in which we own shares. As owners, it is our right and obligation challenge management, attend annual meetings and vote. Armed with the right information, you can make a difference too.